The skilled heart doctors who make up UT Southwestern Medical Center’s specialized Congenital Heart Disease Program help patients who have had heart conditions since birth live long, healthy lives. Our experienced cardiologists and cardiothoracic surgeons expertly diagnose and treat the complete spectrum of congenital heart conditions. Congenital heart disease refers to a variety of structural heart defects that are present at birth. Thanks to major advances in surgical treatment, more than 90 percent of infants and children diagnosed with congenital heart disease now survive into adulthood, many of them reaching middle age and beyond. Most adults with congenital heart disease don’t get the long-term follow-up care that’s recommended. Even when heart defects are surgically repaired during infancy or childhood, patients with congenital heart disease can experience recurring problems or develop complications years later. In addition, patients can be at higher risk for new heart problems as adults. UT Southwestern’s Congenital Heart Disease Program provides complete diagnostic, treatment, and consultative services for patients age 16 and above with all types of congenital heart disease, including those who are newly diagnosed as adults. We offer specialized care that can minimize or prevent complications of congenital heart disease and help patients live longer, healthier lives. 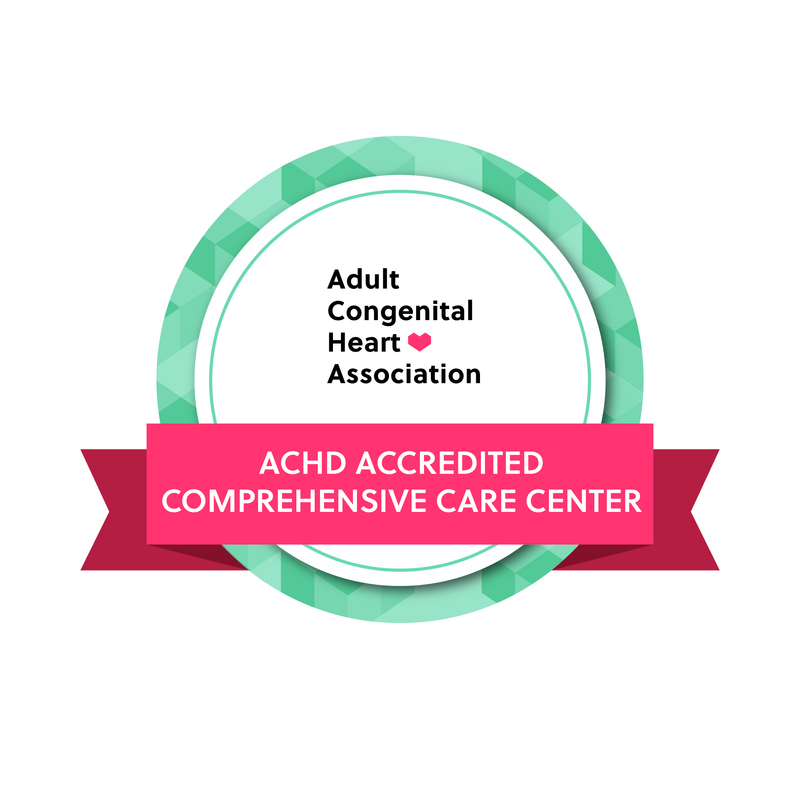 The Adult Congenital Heart Association (ACHA) has designated the UT Southwestern/Children’s Health Congenital Heart Disease Program as an ACHA ACHD Accredited Comprehensive Care Center. 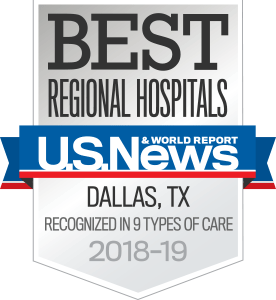 At UT Southwestern, our Congenital Heart Disease Program team includes interventional cardiologists, electrophysiologists, and cardiac surgeons, as well as nurses, physician extenders, and other health professionals, all working together to provide truly comprehensive patient care. Our services are led by pediatric and adult cardiologists specifically accredited in the newly recognized board subspecialty of adult congenital heart disease. Congenital heart defects – the most common birth defect – include abnormal formation of heart valves, holes in the heart, obstruction of blood flow through the heart chambers and blood vessels, and abnormal formation of blood vessels taking blood to or from the heart. Simple congenital heart defects have only a single problem in heart formation, such as a single hole in the heart (atrial septal defect or ventricular septal defect, or VSD) or a malformed valve. Nearly half of patients with congenital heart disease, however, have what are considered to be either moderate or complex forms of congenital heart disease. These more complicated forms often include multiple malformations of the heart. For example, tetralogy of Fallot is a moderately complex defect that includes a hole in the heart (VSD), abnormal positioning of the aorta, and obstruction of blood flow to the lungs (usually with an abnormal heart valve) that results in an inability to pump enough oxygen-rich blood through the body. Highly complex lesions include defects in which there might be only one major pumping chamber or failure of one of the heart valves to form. Several congenital heart defects are relatively simple to correct, such as atrial septal defect or a blocked valve or blood vessel. While surgeries to repair these conditions have been successfully performed for decades, newer catheter-based techniques can be used in many cases to correct these simple defects without requiring open-heart surgery. Likewise, catheter-based techniques, such as insertion of catheter-based valves, can be helpful in certain patients with moderate or complex defects. 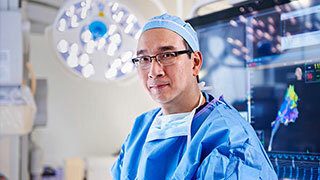 Significant improvements in surgical techniques have allowed for more complex malformations to be treated, resulting in good survival and quality of life for the majority of patients, including patients who have one pumping chamber instead of two. Such advances have transformed the lives of many people with congenital heart disease. Each year, about 20,000 young patients now survive into adulthood. However, for about half of these survivors, including those whose heart defects were repaired when they were infants or children, congenital heart disease remains a lifelong condition. Patients can be at elevated risk for arrhythmias, heart failure, stroke, or sudden death. Women who wish to have children can face complications during pregnancy and birth. That’s why it’s extremely important for people with congenital heart disease to receive ongoing care from pediatric cardiologists throughout childhood and then transition to a skilled adult congenital heart disease clinic as they mature. In addition, adults who have symptoms of heart disease should always receive comprehensive evaluation. A thorough diagnostic workup occasionally reveals a congenital heart defect that was never diagnosed and did not cause problems until adulthood. Congenital heart defects seem to occur spontaneously during a critical time in pregnancy for reasons not yet understood. Researchers are working to identify genes that control the development of the heart, as well as genetic abnormalities that can predispose a child to develop congenital heart disease. Genetic testing is now available for certain gene defects and can be useful for patients with specific types of congenital heart disease or families with a strong history of congenital heart disease. The risk for congenital heart disease can also increase if a pregnant woman has measles or other viral infections, abuses alcohol, or is exposed to certain chemicals or medications early in her baby’s development. However, a definitive cause for most cases of congenital heart disease has not been established. Most patients are the only ones in their families with the condition. Some forms of congenital heart disease cause severe symptoms early in life. Babies or children can have difficulty breathing. Due to low oxygen levels in the body caused by the heart’s inability to pump effectively, their bodies might look blue. However, some signs of congenital heart disease, such as a soft heart murmur, are subtler. Less severe heart defects might cause only vague, mildly debilitating symptoms in childhood, or no symptoms at all. 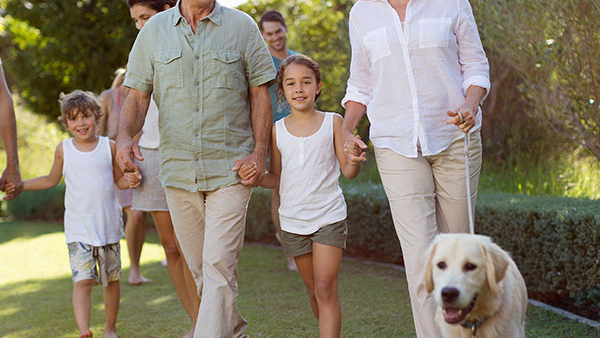 Whether diagnosed and treated in childhood or never previously identified, adult congenital heart disease can cause symptoms such as abnormal heart rhythm, shortness of breath, dizziness, fatigue, and edema (swelling of body tissues or joints). The age at which a person is diagnosed with a congenital heart disorder depends on the defect. “Blue babies” usually receive diagnosis and care while very young. Prenatal imaging technologies such as ultrasound have made it possible to diagnose many infants with congenital heart disease before birth. People with milder forms of congenital heart disease might not be aware of the condition until it is discovered in adulthood, sometimes while being tested for another medical concern. No two people with congenital heart disease are the same. That’s why UT Southwestern’s Adult Congenital Heart Disease team uses the most advanced diagnostic technologies to evaluate not only the anatomy of each patient’s heart, but also how the heart is functioning. Different types of congenital heart disease can cause different complications in adulthood, even if they were surgically repaired decades earlier. For example, certain congenital heart defects will cause heart valves to leak over time, necessitating a valve replacement. People born with a narrowing of the aorta can be especially vulnerable to the dangers of coronary artery disease. Other complications of adult congenital heart disease include heart rhythm problems, which can require an electrophysiology procedure to correct. Even patients with uncomplicated ventricular septal defects that were addressed surgically decades ago are at increased risk for heart infections, pulmonary hypertension, rhythm problems, heart failure, and stroke. Because of these differences, treatment depends on the exact type of congenital heart disease and the complications it might be causing in different individuals. Our patients have direct access to the vast resources of UT Southwestern, including therapies ranging from medical management to multi-organ transplant. 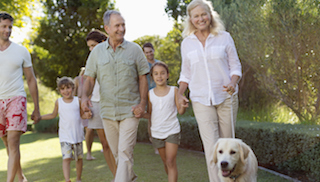 We work with patients and their families to develop treatment plans that are precisely tailored to their heart condition, stage of life, accompanying health issues, and treatment goals. The nurses, cardiac rehabilitation specialists, psychotherapists, and social workers of UT Southwestern’s Congenital Heart Disease Program provide intensive support, guidance, and education to help patients cope effectively with the long-term emotional and practical aspects of life with congenital heart disease. Although heart defects are not passed from mother to child, adult women with congenital heart disease who wish to have children require close, specialized medical attention to ensure a safe pregnancy and delivery. 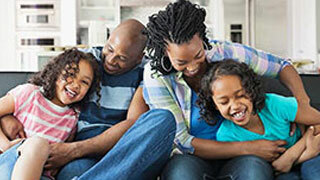 Through comprehensive evaluation, consultations with specialists in electrophysiology and maternal-fetal medicine, and regular monitoring during pregnancy and childbirth, UT Southwestern’s multidisciplinary care helps many women with adult congenital heart disease become healthy mothers of healthy infants.